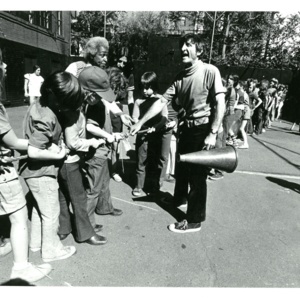 Students prepare for the annual tug-of-war competition during field day. Two students prepare to compete in the lifesaver competition as part of the end-of-year field day. 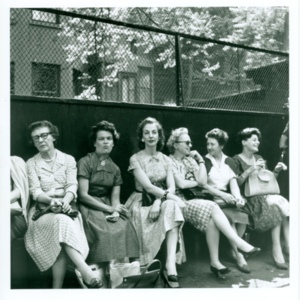 Parents, along with XIIs teacher Mary Card, sit along the wall in the ball yard. 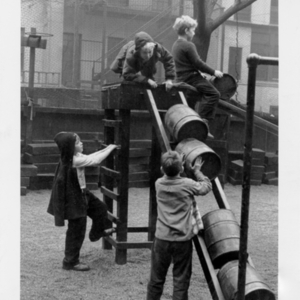 VIIIs move barrels in the pebble yard during outdoor block play. 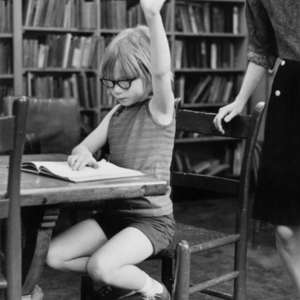 A girl raises a hand to ask a question in the Library. 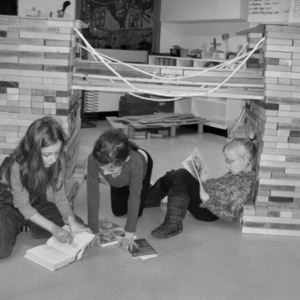 VIIs read under the Brooklyn Bridge they constructed out of unit blocks in their classroom. 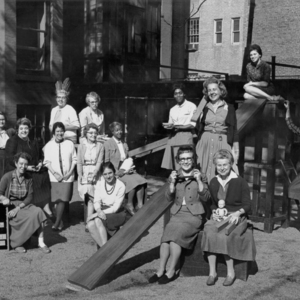 Teachers and staff gather in the Yard for a group photo in the early 1960s. 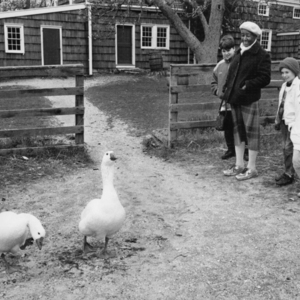 IXs on a field trip to the Wyckoff Farmhouse Museum with teacher Virginia Parker. 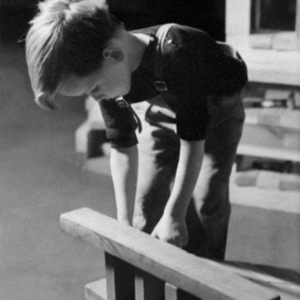 A child works on his block structure during an indoor block period. 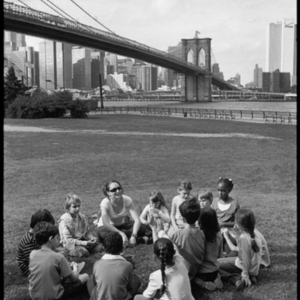 VIIs gather on the lawn at Empire Fulton Ferry during a research trip to the Brooklyn Bridge, with teacher Molly Lippman.